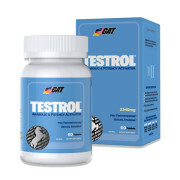 GAT Testagen is the testosterone booster for guys who don’t think testosterone boosters work.It’s for anyone who’s skeptical about the possibility that you can boost your body’s own natural testosterone to enough of a degree to actually make a difference in workout and sexual performance. It’s designed to be fast acting, and to increase your size, power, strength, determination, and focus, as these are all things that improve with increased testosterone levels. And if does this without the need for prescriptions and without the side effects, like the dreaded increase in estrogen that prohormones will produce. Greater gains in the gym. 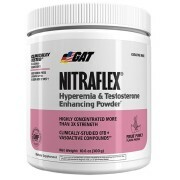 The GAT Testagen formula boasts 29 nutraceuticals on its ingredient list. Gat Testagen starts of with vitamins and minerals like Vitamin E and B6 and Zinc.Zinc is crucial to the body’s testosterone producing process. 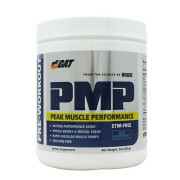 The Mass, Strength, and Size Blend contains prohormones, Beta-Sisterol, Maca , Ginseng , Arctic Root Extract, Tribulus Terrestris, Mexican Wild Yam, Cnidium Monnieri, Mucuna Pruriens, Fenugreek, and Beta-Alanine. The Absorption Blend contains Flaxseed, Ginger, Long Pepper, Fenugreek, and Bioperine. 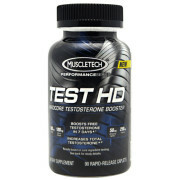 There are several positive GAT Testagen reviews from customers who find it helps them in the gym. It supports sexual health as well. It claims to block the conversion of testosterone to estrogen. Directions For Gat Testagen: On Training & Non-Training Days. As a dietary supplement take 2-3 tablets with breakfast and another 2-3 tablets with lunch every day. After 6-weeks of continual use, a one month break is recommended. Then repeat cycle as directed.